Portable beach chairs designed to break apart and compact down to fit inside your suitcase. Most folks have to travel to their favorite sunny beach vacation destination. Oh, but all that gear! And beach chairs are so large and clunky and there’s just no way you can take the typical beach chair on an airplane. The Break Away Chair™ is the perfect solution. 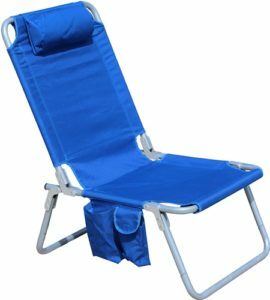 This remarkable portable beach chair features a rugged rust-proof aluminum frame that will unsnap to compact small enough to pack with the rest of your beach gear. Why risk the availability and cost of a sweaty rental chair when you can rest easy with your own?